Open Field #1 is in the back of the facility. 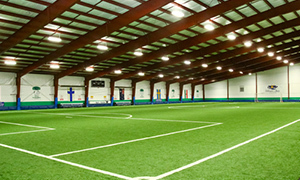 At 40 yards by 70 yards, most of our Soccer leagues and Flag Football leagues take place on this venue. Open Field #2 is in the front of the facility. 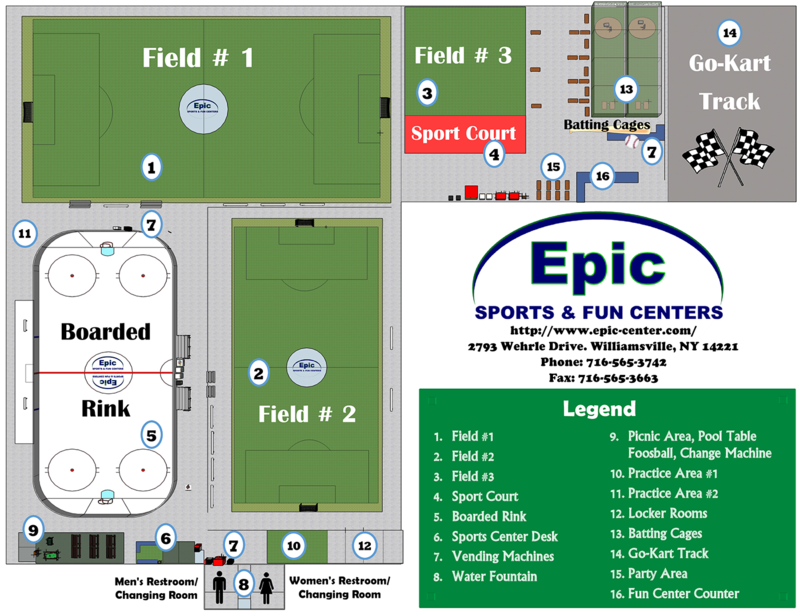 At 85 feet by 185 feet, Field Hockey, Lacrosse, and a variety of other leagues take place on this venue. We are proud to be able to provide our customers the next generation of athletic turf: Victory Turf! Our Victory Turf fields are groomed and cleaned bi-weekly to provide you with the best possible playing surface. Unfortunately, we cannot allow any players to play with cleats or spiked shoes- flat sole soccer shoes or sneakers only please! Our Inline Hockey Rink is directly in front of the front counter. 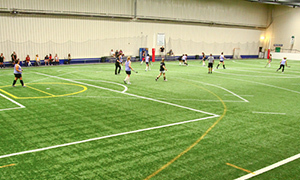 At 85 feet by 185 feet, this surface, made of Sport Court, is great for hockey leagues, as well as a variety of other activities. 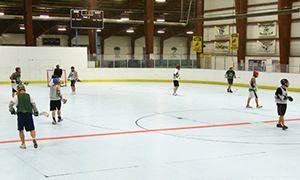 For example, we have successfully run soccer rentals, floor hockey leagues, and even Volleyball leagues on this unique surface. Our Sport Court rink is professionally cleaned every week to provide you with the best possible playing surface. 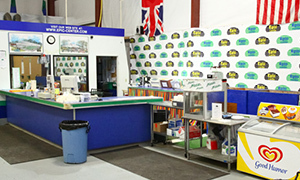 The Front Counter is staffed by friendly, professional employees who assist in customer service inquiries, team registration, facility maintenance, and so much more! Forget your shin guards, or just want to buy a roll of athletic tape? Stop on by! Also, we serve coffee, pizza, ice cream, and a variety of other refreshments seasonally. Last, the Epic Sports Center provides team changing rooms and warm-up areas which can be utilized 30 minutes before your game begins. Done touring the Sports Center? Take a look at the Fun Center!